Our 2018 event was another HUGE success. The weather was on our side, and the 27 kids who had flights were super excited. Some had never been in an airplane before and were still 'flying' after they landed. Thanks to our pilots, and many other volunteers who help to support this community initiative and make it run so smoothly. Chris Willson leads off the program with a short ground school. Looks like an attentive audience! Thumbs up! 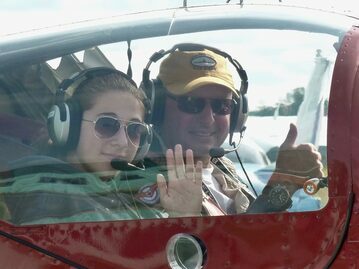 Jeff Douglass and his student are raring to take off. 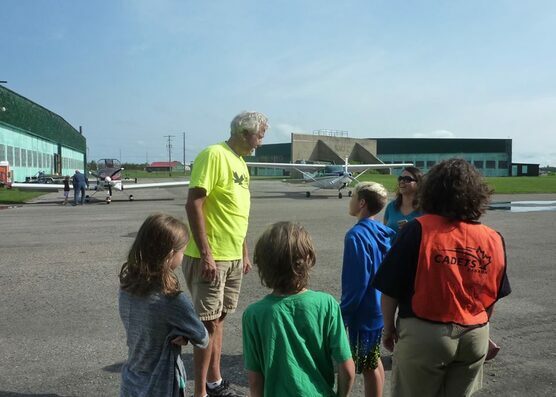 Phil St. Jean gathers a group of youngsters before the flight. Safety is one of the important aspects covered. 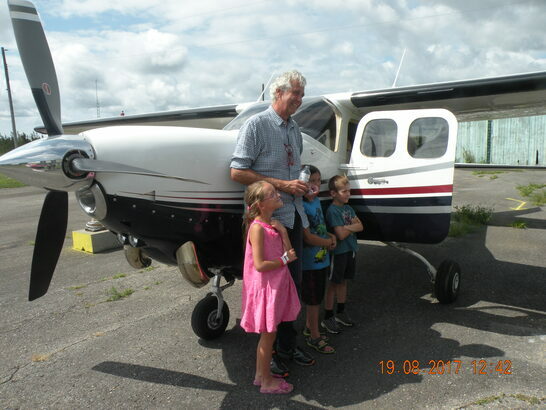 Our annual COPA for Kids program continues to get bigger and better every year, and we typically have a waiting for young aviation buffs interested in participating in this free program. On August 19, 2017, a cameraman from Cogeco TV was on hand to capture the morning's activities. 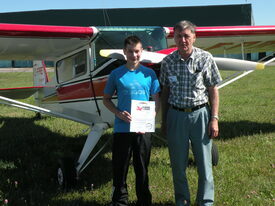 Cooperative weather, supportive pilots and an all 'round team effort were the hallmarks of the day. 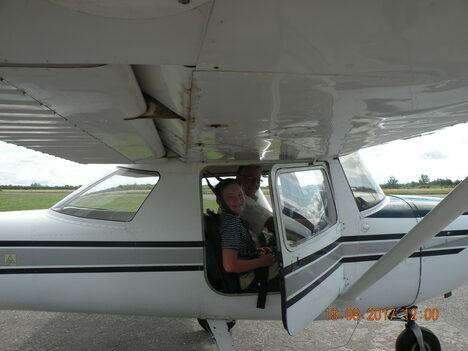 We hosted about 30 youngsters, offering them ground school, a brief flight and snacks. Here's a few snaps of the day! 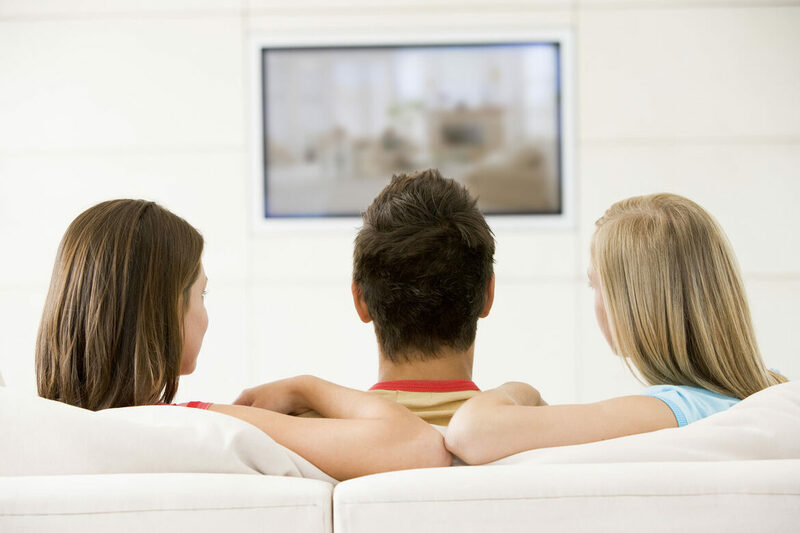 And check out the link to the TV coverage of the morning's event. Past COPA for Kids highlights: We once again welcomed an enthusiastic group of youngsters to the annual free COPA for Kids Program. Held on Saturday, August 22, 2015, we thought you might like to see just some of the pictorial highlights of our COPA 53 event! 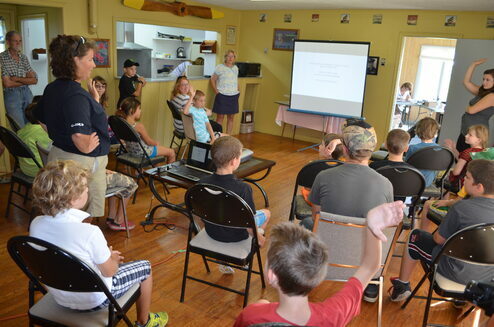 An enthusiastic crowd of 34 young people participated in the August 24, 2014 COPA for Kids Program and by all accounts, it was a great experience all 'round. 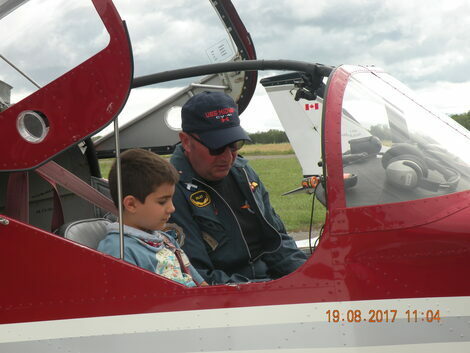 In fact, some of the youngsters had never been in a plane before so this free event hosted by our Club (COPA 53) was an extra special treat for them. 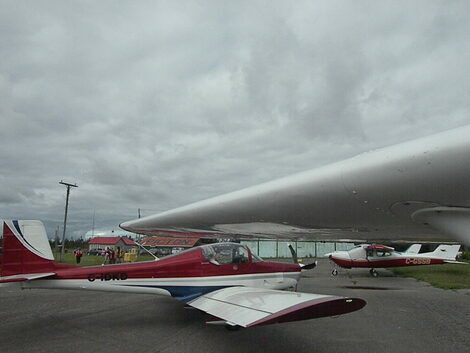 What's more, the weather conditions were extreme VFR. A special thanks to the nine pilots, including our own Scott De Mille, who generously gave of their time to show these kids the County by air. Thank you also to Jackie and Jeff Douglass (our groundschool instructors), Dave and Mary Rae Main, Terry Clifton, Phil Wattam, Chris and Lorraine Willson, and Doreen Bowman for your help in making this a rewarding event. And finally, a special note of gratitude to Jacqui Burley of Loch Sloy for providing the hot dogs and other edibles for our crowd. 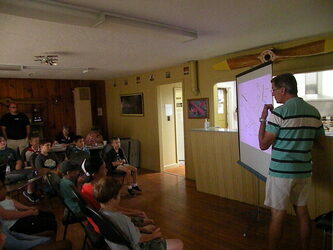 Below, Jackie Douglass (standing below on the left in blue shirt) discusses how airplanes get off the ground. 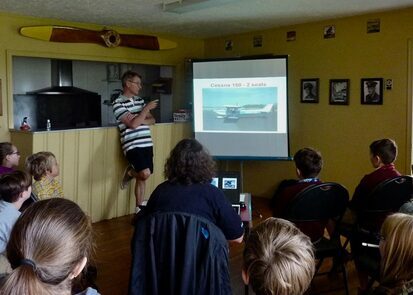 Our 2013 event gave 21 young people an introduction to aviation, a groundschool, and flight. 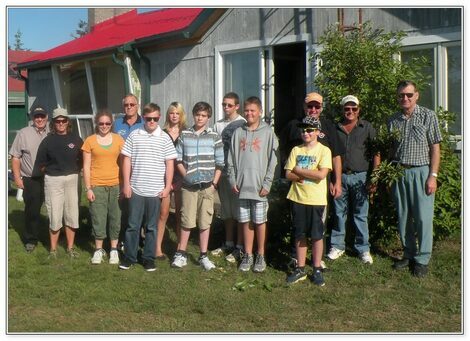 Volunteers from COPA 53 (including PEFC members) enjoyed a perfect morning with a terrific group of young people. 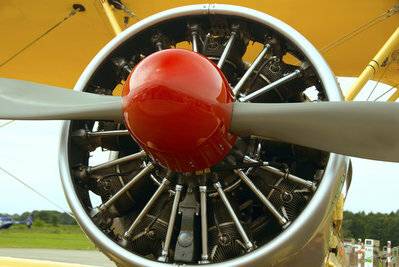 The group toured The County from the air and was treated to lunch courtesy of Jacqui Burley, Loch Sloy Industrial Park. Here's a pictorial view of the 2013 event!